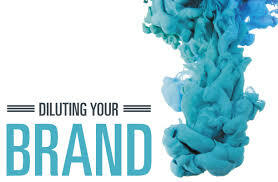 Do you risk losing control over your brand? We have mentioned in earlier posts that the decision to centralize control over your messaging will impact your brand identity. 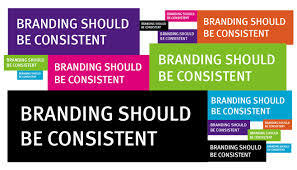 Centralization of brand messaging is the first step in creating a consistent brand identity. When it comes to multilingual communications however, some organizations rely on local experts to market and sell their products. These type of organizations must find a balance between ownership of their messaging at the corporate level to protect their brand identity and allowing for customization of their communications by local experts such as their in-country distributors. Our spotlight is on the profile of a company that is emerging in several foreign markets at the same time. This company is using local distributors to market and sell their products in-country. Until this year, they have relied almost entirely on the local distributors to translate their packaging and marketing materials. When this organization approached us to help them develop a strategy for their global expansion, one of the key objectives that we determined in our SWOT analysis to be a top priority was to establish “control and ownership of messaging to protect brand reputation and identity”. This is one of the 6 metrics we have identified in the area of Strategic Readiness for companies managing their multilingual communications. In the Balanced Scorecard framework, this metric falls under Quality. If the distributors had full control of creating the messaging used to market this company’s products, the company had no way of knowing whether the distributors always adhered to the guidelines and messaging on their U.S. packaging. This is a classic case of an organization risking brand dilution with no way to evaluate which claims were being made or how their brand appeared to buyers. Furthermore, the company’s competitive advantage is driven by the claims that are made to entice buyers to purchase their products. A marketing strategy centered around a specific claim may work in one market while it would not be effective – or even legally acceptable – to make such a claim in another country. The U.S. based headquarters of this company had no control over these individual strategies and no way to ensure that each country’s legal requirements were being met. This metric in the LSI Client Mentor Program™ provides an action plan of 6 steps that an organization must evaluate and act upon for this objective. The organization is then measured not only on a number of quantitative issues but also on their change of perception in their commitment to the objective. A score of “ingrained” with this metric is one more measurable way to move this company efficiently along the path of the Global Communication Maturity Model™. The benefits of having a centralized approach with well-defined roles and responsibilities are clearly evident to this company We have an efficient and repeatable process (think Baldrige criteria) that can be applied to each new market as our client expands. In addition, we are able to scale efforts within existing markets in a cost-effective way due to the Translation Memory assets we’ve built.